Remember your favorite restaurants in each city! Great for frequent travelers and business travelers. Also helps remind you of your favorite restaurants in your own city so you can quickly choose where to go out to eat. Favaurants is not an app to find new restaurants or search restaurants in your area. Instead, Favaurants reminds you of the restaurants you frequent often - your favaurants. 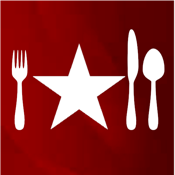 Favaurants allows you to keep track of your own personal ratings and cost ratings, features of each restaurant, and what meals they serve. You can also keep track of your favorite items or dishes at each restaurant. You can keep names of key staff such as the owner, chef, favorite waiter, and favorite bartender as well as any free-form personal comments. If you've ever struggled with remembering the name or details of a restaurant, then Favaurants is for you!